Squatting | Do you remember Olive Morris? At the end of 1972 Olive Morris and Liz Turnbull (Obi) found themselves without a place to live and not much money to rent. Taking the cue from a group of white women who had squatted a building on Railton Road and were running a Women’s Centre, they decided to inspect the area and find a suitable property. Olive Morris and Liz Turnbull became the first successful squatters of private property in Lambeth when they occupied a flat above a launderette in Railton Road. Successfully fighting off attempts at illegal eviction, they set an example for hundreds of homeless young people in Brixton and the flat remained squatted for many years. 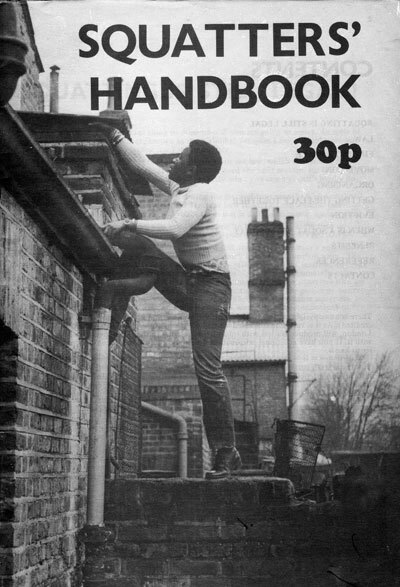 In 1979, the year of Olive Morris death, the Advisory Service for Squatters published the sixth edition of their Squatters Handbook. The cover of the booklet was graced with a picture of Olive climbing onto the roof of 121 Railton Road. 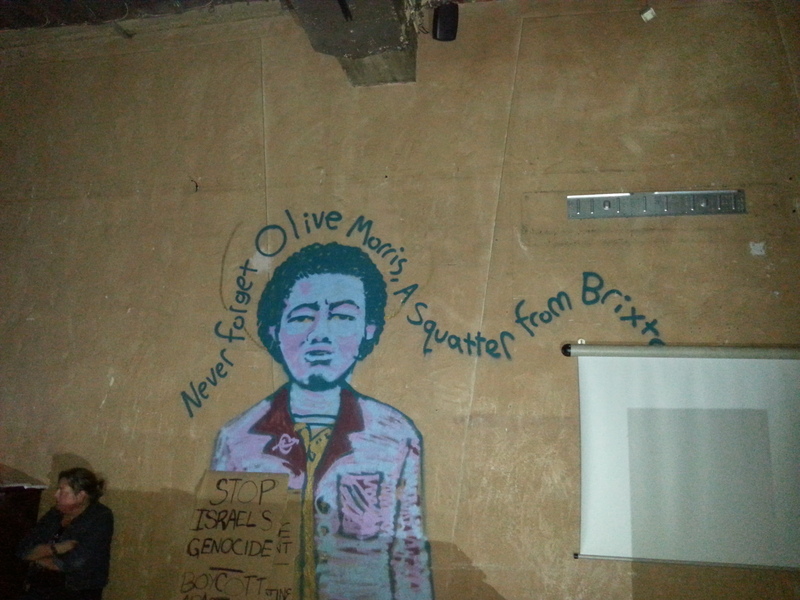 This picture was taken during one of the attempted evictions of the squat, and several other pictures and news items about this particular eviction also appeared in the south London press. Despite living side by side and having cordial relations, Black and White squatters did not organise themselves together. Liz Obi remembers that when they squatted 121 Railton Road, some white squatters came to help them turn on the gas and the electricity. During evictions some women from the ‘White Women Centre’ also came to show support, but that was as far as the relationship went. 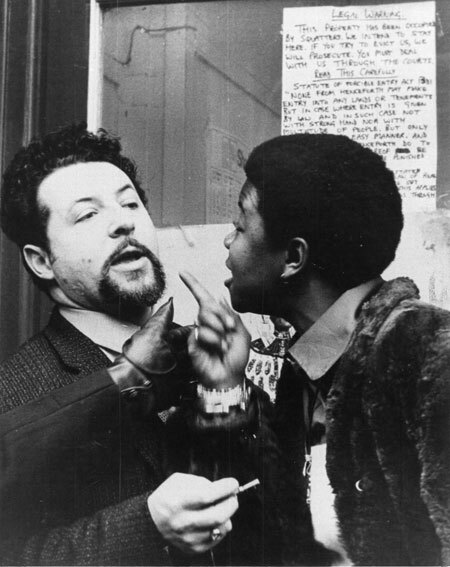 Black activists at the time were focused on the many specific issues affecting the Black community (police violence, discrimination in education and workplace, etc). The absence of joint activity might explain why in most accounts of the Brixton squatting movement written in later years, there are no references to the early Black squats of the 70s. 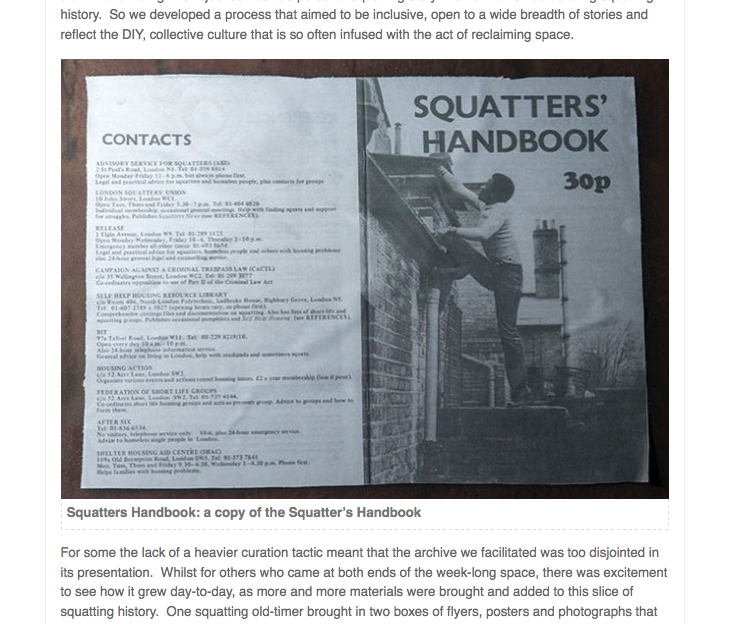 However, as the cover of the Squatters Handbook shows, in the late 70s Olive Morris was a well known and respected figure amongst White squatters.